Just to let you know, I got your email with the latest error message. Sorry, we've been talking about this, but we don't have any more ideas right now. Okay, I do not want to tire you already. I think that this problem stems from Java. It might be Java, yes, but you've given Alloc something new to research. He might have some ideas when he is able to respond later. 2. Right-click your shortcut in AE\ called "AEInstaller2Updater" and choose to edit it. so that the line says "java -Duser.country=US -Duser.language=en -jar" (the rest staying unchanged). 4. Double-click this shortcut to run the Updater. If you see a small window with a progress bar which completes, and offers to run the Installer, then it succeeded. If this succeeds, the AEInstaller itself will still fail, however we can fix that using this same method, so it's okay. We just want to know if the Updater runs when you perform steps 1-4. In 3.option (java-jar) How do I find the word? There are many words here. I did not find, if you look at the file I'm sending you? 6. You should now see the part saying "... javaw.exe -Dsun ...". 10. Run the edited shortcut by double clicking it. Alloc application by double-clicking, but I do not see progress. Did the application start? I.e. did you get the window saying that it is updating? What is the content of updater_output.log after closing the updater? 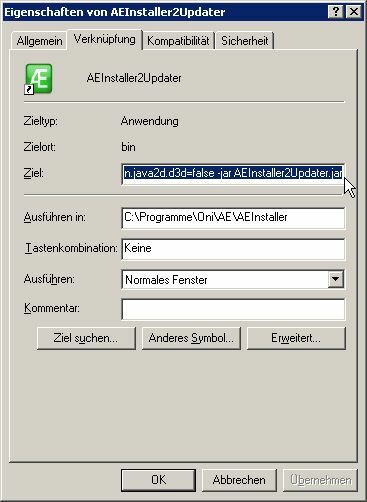 AE \ AE Installer \ Bin erased. Yes, the application starts, but I get the error. What is the content of updater_output.log? Perhaps you do not have a internet connection you have right now or (not) ENTERED (wrong) proxy data? Ok, this looks a lot better now. Seems like the program simply can not access the remote server. So your problem now is most probably that you actually do need to set a Proxy to connect to the internet. You will have to figure out what the correct proxy settings are in your case and enter them when installing AEI. Find your proxy settings ... Either the person who has set up your local network at home or your internet provider knows about what to use. So ask those persons / look at the contract information. Okay, thank you, have a person who knows these things at home because you need to ask him that I'm not the owner of the internet, if I find anything I say. Alloc, I need to set the proxy is only mozilla firefox? You need to set the proxy information when installing AEI. It asks whether you have a direct connection or a proxy. 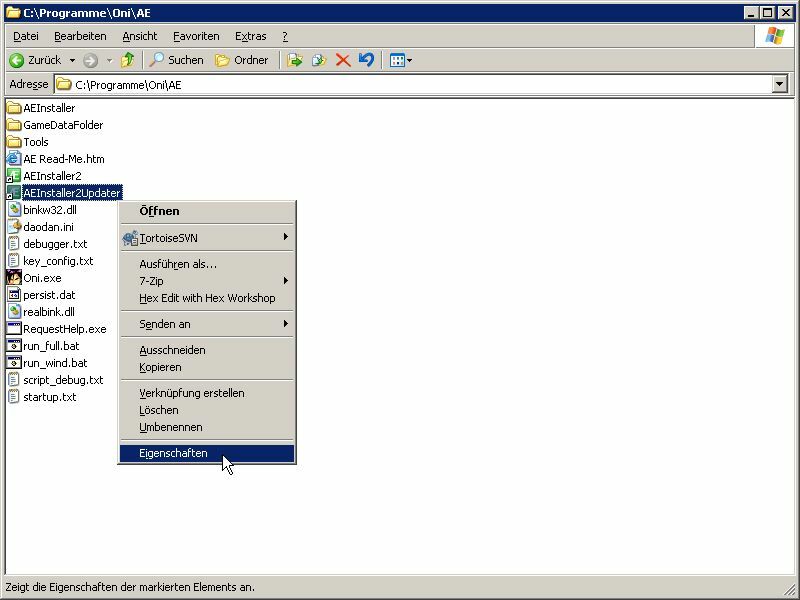 Select proxy there and go to the next step where it will ask for the required information.